VfL Wolfsburg striker Nicklas Bendtner praised his side's team spirit following the Wolves' 2-1 triumph over Bayer 04 Leverkusen in Saturday's blockbuster at the Volkswagen Arena. Nicklas Bendtner (Wolfsburg striker): "It was a very difficult match. I was very proud of the team spirit we displayed throughout the 90 minutes. We showed a lot of fight and passion. Even though we’ve won a lot of games, there’s still room for improvement for us. Every single player, whether they were in the starting XI or on the bench, showed how much they wanted to win the game today. We were perhaps a little more focused than they were. We were sharper, stronger and deserved to win. It’s a step in the right direction for me: a goal, a win and a good performance." Julian Draxler (Wolfsburg midfielder): "There was nothing to choose between us. It was a good game which we deserved to win. It was important to win to establish a bit of breathing space between ourselves and Leverkusen. It’s a good feeling and gives us a bit more of a cushion, but things can change very quickly in the league and we have to keep going." 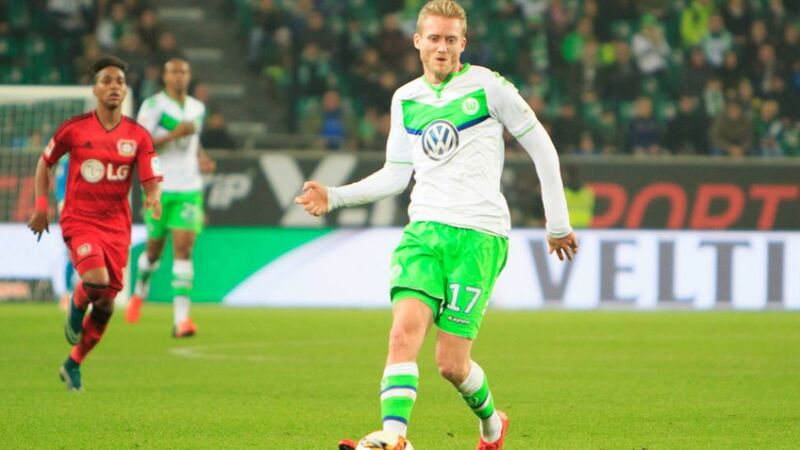 Andre Schürrle (Wolfsburg forward): "You could see from the first minute that we really wanted it. We had chances which we should have taken, but we deserved the goal. I had a lot of space today and that's more my game. Perhaps I feel a bit more liberated now. I'm working hard in training to take advantage on the field." Timm Klose (Wolfsburg defender): "We showed what we're made of today. We battled hard to make sure the three points stayed here. There wasn’t a lot to choose between the two teams. We both wanted to attack at every opportunity, but I thought we were a little bit better than them overall and deserved the three points. We needed the win. We were a little bit too passive against Bayern [in the DFB Cup], but everyone fought right until the end." Dieter Hecking (Wolfsburg coach): "It was a hard-fought match, and was a little bit too disjointed at times. That meant there wasn’t really any flow to the game, but my team soldiered on and adapted. It was a good response to the Bayern game [in the DFB Cup] and the boys gave everything to make sure the match went our way. They did so successfully, so everything’s great in the league right now and we can build on that. Now we need to recover in time for our Champions League game in Eindhoven on Tuesday so that we can put in another top performance." Christoph Kramer (Leverkusen midfielder): "I don’t think either side deserved to win the game today. If one team did deserve to win, though, it was us. We’ve lost, so we’re obviously not happy, but we can take a lot of positives from the game. I thought we played better than we did against Stuttgart and Roma, but didn’t always make the right decision in the final third. We either kept the ball for too long or played hurried passes that didn’t reach their destination." Hakan Calhanoglu (Leverkusen midfielder): "We did well to get the equaliser and started the second half really well. We did fine until the 70th minute. We played well against a strong team today - we mustn’t forget that. Nonetheless, we're disappointed to have lost." Roger Schmidt (Leverkusen coach): "It was a very tight, intense and hard-fought game. We played well and had enough chances to win it. Unfortunately we didn’t make the most of them, and even after going 2-1 down we still had chances. It just wasn’t to be today. When two strong teams meet then you have to take advantage of your opportunities."